With more than 20 years experience working at the Hartsfield-Jackson Atlanta International Airport (H-JAIA), Innovative Engineering Inc – structural engineers, are excited about the airport beginning the final stages of completing its capital improvement program. The objective of this $1 billion in improvements to be completed over the next decade is to allow the Airport to efficiently and affordably meet the higher demands for air cargo and projected significant increases in passengers, as stated by airport officials. “What’s different and encouraging about this next round of upgrades and improvements at H-JAIA is that a significant proportion of this work is geared more towards repairs, alterations, and rehabilitation work, which should provide more opportunities for small local engineering and architecture firms to compete and participate in performing this work,” says Scott L. Weiland, PE, president of Innovative Engineering, Inc (IEI) Atlanta, GA. The annual cost of construction projects is expected to “easily” exceed $100 million a year, according to the request for proposals (RFP) the city issued September 2014. 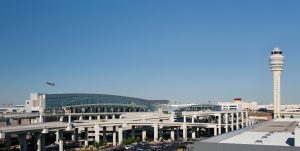 The listing of H-JAIA potential projects planned, although not approved/authorized to date, includes such work as: Modernization and improvements to Domestic Terminal and Concourses T-D; Airline club expansions; Modifications to security checkpoints and TSA screening systems; and New public parking garages and pedestrian bridges … just to name a few. es; federal, state and local agencies; other contractors, vendors and airport users, etc. Innovative Engineering Inc is a certified Small Business Enterprise (SBE) with the City of Atlanta that has been providing structural engineering services for renovation and expansion projects at Atlanta’s Hartsfield Jackson International Airport for over 20 years. The company is familiar with all aspects of airport and station operations, airport access, design requirements and as-built documentation. Both the company and key personnel maintain permission to access secure areas and are accustomed to performing detailed as-built surveys at H-JAIA.